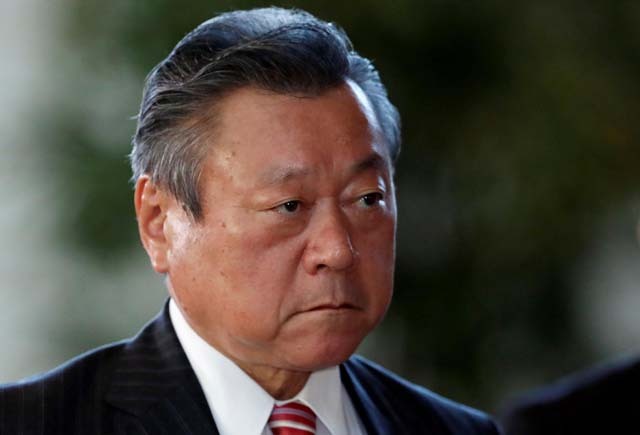 Japan’s Olympics minister has expressed concern over a cancer diagnosis “threatening to diminish the success of the 2020 Olympics in Tokyo”. “I’m devastated – swimming star Rikako Ikee may be too sick to win gold medals,” Yoshitaka Sakurada told reporters. Opposition lawmakers are again calling for the gaffe-prone minister’s resignation for his insensitive comments despite a full week passing since his last gaffe. The public is now wondering at what point does an accumulation of gaffes reflect one’s true values. “We’ve reached a stage now where we assume everything that comes out of Sakurada’s mouth is a gaffe, and then if it’s not retracted we can be confident this is what he really believes,” says 54-year-old local Amari Kyominai. Sakurada’s mother has been accused of committing the most heinous gaffe by procreating with Sakurada’s father.